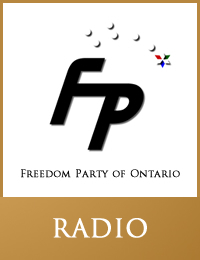 On London Today (NewsTalk 1290AM CJBK, London, Ontario, with host Andy Oudman) Paul McKeever, leader, Freedom Party of Ontario, discussed a Freedom Party of Ontario media release re: Progressive Conservative leader Tim Hudak’s promotion of a Freedom Party plank – presented as a PC party policy trial balloon – to open up the LCBO and The Beer Store to competition from other stores (such as grocery stores and 24 hour convenience stores). 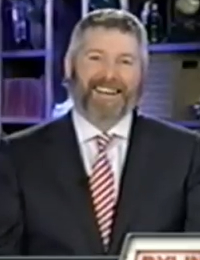 On September 20, 2011, during Ontario’s provincial general election, Freedom Party leader Paul McKeever was a guest of Byline (hosted by Brian Lilley on Sun TV). The appearance was prompted by September 15th and 16th comments by Lilley that Tim Hudak’s Progressive Conservatives are indistinguishable from Dalton McGuinty’s Liberals, and that there exists no viable alternative for “fiscal conservatives”. Viewers e-mailed Lilley to let him know he was wrong: for those looking for better governance in Ontario, there’s Freedom Party. Secondly, any general advice (other than stick to the planks) when it comes to doing interviews with media etc? What to avoid, emphasize, etc.? I’ve had some amazingly positive responses from people re: FP. Even the partisan PC guy cleaning his gun was keen and interested in FP.